As the neverendum talk perhaps is beginning to wind up, both sides in the European referendum debate are getting their closing speeches to invite you to use your vote in the UK to decide on EU membership. 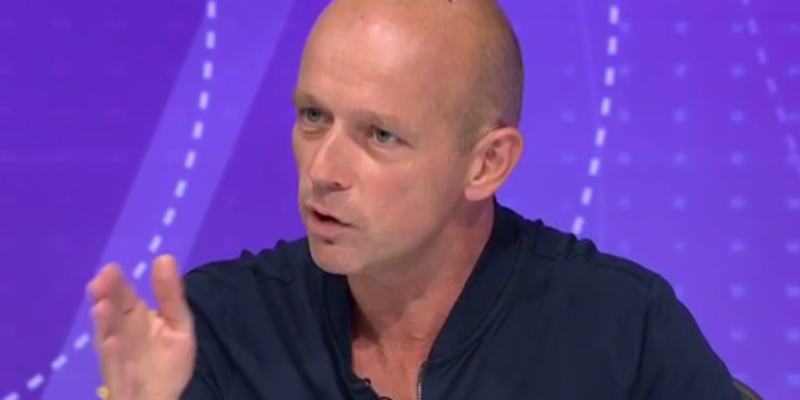 This week, it was a chance for Steve Hilton, former advisor to the current Prime Minister David Cameron MP, to trot out the standard Brexit arguments. One of them, he emphasised at one point, is: “The biggest risk is the future.” I politically have much more in common with Steve Milton from Innovations in Dementia – though that other Steve isn’t fond of Mr ByeRight T-shirts. Of course, it is impossible to make the future fool-proof. Dementia is the most feared condition in adulthood, it appears, and it is standard practice for national and international Big Charity to prey on this fear to raise funds. This shock doctrine, in combination with the “one last push” from tabloids such as the Daily Express, is only let down by the harsh reality of the actual scientific evidence. 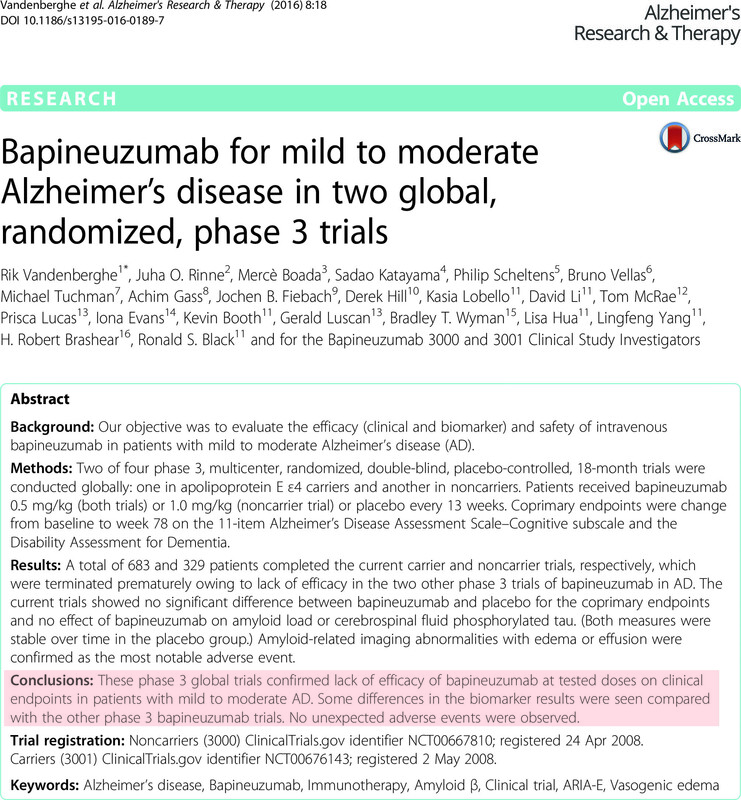 This negative result about bapineuzumab for mild to moderate Alzheimer’s disease in two global, randomized, phase 3 trials, for example, was only published officially about a fortnight ago. But the mood music of the press release about this drug from the Alzheimer Association in 2012 was somewhat different. Money is incessantly being pumped into this particular area in dementia. Big Charities deliberately ramp up the fear to encourage you to fund raise for dementia. This is particularly unfortunate in the UK where a big ‘cure for dementia’ has actually not been forthcoming, whereas social care and intermediate care funding have been on its knees meaning that many adult patients cannot get discharged in a timely way from acute hospitals. This predictably is ruining the patient and carer experience for many. It’s been estimated that 30% at least of all adult admissions for medicine involve someone with dementia. The fear of the diagnosis can mean that someone, or his or her own friends and family, might delay seeking out an official diagnosis of dementia. I feel, however, there has been a substantial, if not complete, turnaround in societal attitudes towards dementia in England through initiatives such as ‘Dementia Friends’ from the Alzheimer’s Society. But national campaigns are unable to eliminate stigma, prejudice, discrimination and outright bigotry. Closing the diagnosis gap was not simply down to a reluctance of general practitioners to diagnose dementia, although general practitioners were often blamed publicly for this. Alzheimer’s Scotland at the beginning of June are about to debate whether diagnosis and management for dementia should take place in primary and secondary care, but the mere title of this debate is a huge insult to patients. Patients should be able to choose the venue of where this discussion takes place – it should be beyond the power of professionals to choose where this diagnosis and post-diagnostic support takes place, whatever the actual answer to the question might be. 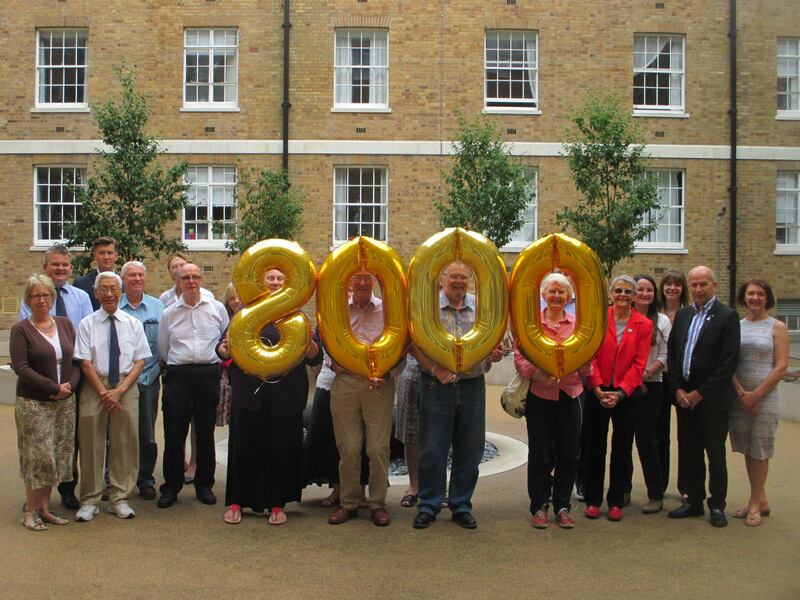 Take for example the 430,000 people living in care homes. A substantial proportion of them will be living with a dementia such as Alzheimer’s disease, and it would help to meet their care needs if a carer knew this. For example, a care home resident may not be able to remember some interactions he has had with a carer, or may not be able to remember whether he has taken his medication that morning. Or, take a frail lady who falls over with a subsequent acute admission to a NHS hospital. She might be given a CT scan showing volume loss of brain, and with a background of blood results not explaining cognitive problems and a history of worsening memory problems, and it might be a case for a diagnosis of dementia to be approached. Courage to face one’s fears is a pervasive strand, whether you’re a recipient or provider of care services. Courage involves making a decision, often in the face of some fear, about the future. Indeed, cognitive neurology research has now consistently shown that one of the cognitive symptoms of people with dementia might in fact be a lack of awareness of problems, or indeed a specific lack of ability to predict forward into the future. This interesting phenomenon is called ‘prospection‘, and future research into this area would be valuable. So, I feel Steve Hilton is right in the sense that the ‘biggest risk is the future’. But having a diagnosis of dementia is ‘not a death sentence’, in that many people with dementia can live as well as possible for many years with the right care and support. Planning might not just be in care but also in financial and legal affairs. It is said that facing the future is easier in dementia once you finally have an explanation, such as for worsening memory problems. But dementia is not just about memory. A big risk for people with dementia ‘suffering’ is people with dementia suffering from never-ending cuts to the NHS and social care. That is the reality of the situation, and it is time Big Charity campaigned on that too. Disappointingly this week, there was no representation of people living with dementia giving a talk at the global #WHA69 summit, although they was no shortage of the usual hobnobbers bigging up the successful political leadership. But it’s worth noting that some people would not have had ‘seats at the table’ at all had it not been for certain people with dementia who had put them there. "Sea hero quest" – adding signal or noise to research? My tweet on this – including Hilary Evans’ excellent explanation – is as follows. Sea Hero Quest was launched today by Alzheimers Research UK. It has been developed by London based studio Glitchers and follows a captain as he tries to recover his father’s lost memories. 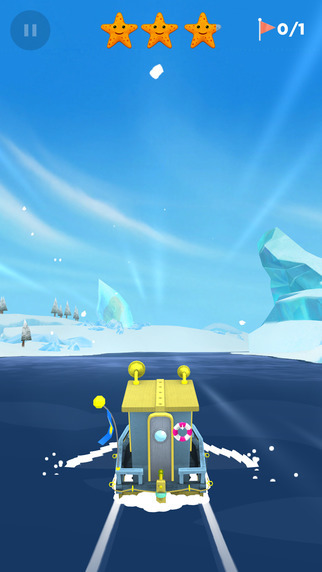 You navigate the boat but there’s no mini-map within the level, you’re given all the locations to visit at the start of the game from a map. Here’s a typical screenshot from the game. I downloaded the game for free onto my iPad. It was easy to get into – I quite liked the option also of not sharing the data from my experiments too, but the notion of contribution to a giant experiment through ‘gamification’ is also extremely appealing to many. I really don’t see how X minutes of playing the game can equate to Y minutes of ‘traditional research’ – but I am not in the least bit bothered about that. The game was not what I expected it to be. Searching for objects in a task in humans is well known to people who experiment with primates – it’s officially known as a spatial working memory task. The ‘official’ line on the task is that it somehow taps into the function of the ‘hippocampus’ – a part of the brain near the ear, in the ‘temporal lobe’, so called because it looks like a sea horse (it is claimed) in brain sections. It’s a pretty robust finding since about the late 1970s that the hippocampus is one of the very first parts of the brain to be affected in Alzheimer’s disease. Alzheimer’s disease is THE most common type of dementia. It strictly speaking is a syndrome of different diseases of varying causes, but typically clinically is manifest as problems early on in learning and memory. A good example of this, in fact, is in the film ‘Still Alice’, where the person who develops dementia notices early on navigating for a jog around a university campus familiar to her. And indeed it’s a fairly consistent finding that spatial memory, and learning lists of things and names can be difficult for someone relatively newly diagnosed with Alzheimer’s disease. This task has some validity from the animal literature. In rats swimming to submerged landmarks, the Morris water maze task, it’s well known that if you get rid of the hippocampus with physical destruction rats have real difficulty with this task. Also, if you chemically manipulate the hippocampi of the rats’ brains with an agent which chemically blocks the way in which memory is laid down, known as ‘long term potentiation’, rats can’t do the task. There are therefore different types of error – known as ‘between search’ and ‘within search’ errors. Within-search errors were made if a participant returned to an already searched box; between-search errors occurred if a participant returned to a box that was already known to contain a target item. There is a long and proud history of research into this, such as this paper. The problem is – this is vastly to oversimplify the situation. If you extend the time window of the task, it no longer is a task of working memory, but more like a task of a ‘episodic’ memory for events. And the brain area really involved in spatial working memory has a large contribution from the frontal lobe, the part of the brain near the front. We know that this part of the brain tends to be affected later on in Alzheimer’s disease. There’s a problem also in the programmers’ use of the term ‘dementia’. Dementia is an umbrella term of well over 100 different conditions. Alzheimer’s disease is one of many conditions. But it is conceivable that other dementias may provide different patterns of behaviour on the task. This is of course no bad thing – as ideally you should want to match up the different cognitive profiles of people playing the game with known diagnoses, such as likely normal ageing, or not. But this is beyond the scope of the game. And a clear demarcation is made between playing the game for fun, and it NOT being used as a diagnosis of dementia. But say you have problems in a different part of the brain, such as the parietal cortex. This part of the brain is involved in visual perception, so persons with the posterior cortical atrophy type of dementia might exhibit a different profile altogether. And why this is relevant is all to do with how space is represented in the human brain. Space which is allocentrically represented, i.e. objects in relation to each other, are more likely to be expressed in a cognitive map involving the hippocampus. On the other hand, space which is egocentrically related, i.e. related to YOU in space, is more likely to be involved in a map involving the parietal cortex. 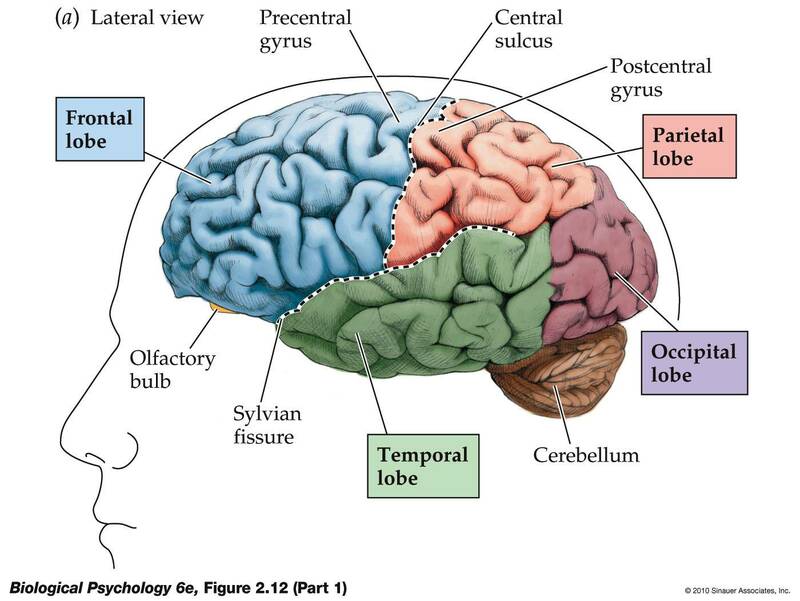 As a summary of where these parts of the brain are, see this diagram. So – it’s likely that behavioural performance on the task will involve performances from a hotchpotch of people, including some people with undiagnosed dementia. There’ll be some people who do badly on the task who don’t have dementia, so might be needlessly worried. On the other hand, the game is brilliant for people to feel as if they’re participating research, without leaving the comfort of their own iPad or iPhone. And it’s great branding for the people involved in its creation and as a media campaigning tool. I think the task itself is not a good computerised task. I worked in the lab which developed CANTAB in Cambridge under Prof Trevor Robbins, so there’s a bit of a conflict of interest. I found the music quite irritating actually, which is not fatal for motivation. But I think there is a major motivational confound in this task, where you can simply get bored of it the longer you play it for, affecting performance. The lack of instructions was potentially a good thing – in that it minimised the confound of language problems affecting task performance. There are also some groups of patients who might be rather oversensitive or insensitive to rewards of any sort – such as people who are impulsive narcissistic at one end, or people who are profoundly depressed at the other end. It’s also not a good pure test of memory either – there’s a huge perceptual component, evidenced by the great graphics. Also, there is a strong attentional component. I think what would be interesting is if all the hundreds of thousands or millions of performances could be put into a giant database, and some sort of Big Data analysis could be run on it to see if different patterns of performance could be fractionated out. What would THEN be interesting for Dr Hugo Spiers and colleagues from UCL would be then to match up these profiles with known ‘diagnoses’, such as early Alzheimer’s disease, ageing, posterior cortical atrophy. But this would be to get into the mire of ethical research, research approval and valid consent, perhaps? I don’t wish to paralyse the greatness of this game by overanalysis. Go and download it, and help dementia research! Well done to the Alzheimer’s Research UK for an excellent collaboration which is very interesting indeed. "Amyloid busting drugs" – true weapons of mass destruction, or blatant puffery? I must admit I haven’t got anything to gain from the ‘amyloid hypothesis of Alzheimer’s disease’. I am not a paid researcher to do with dementia, nor am I paid to promote research campaigns. I do not work for any dementia charities. So what is the ‘amyloid hypothesis of Alzheimer’s disease‘? This is, in a nutshell, a build up of an abnormal protein in the brain, as plaques. This build up is like mini brillo pads clogging up the brain, causing the brain to shrink, and buggering up its overall function. That was my best at being a paid scientific communicator. But this hypothesis is not without its problems. One key problem is the seminal finding of Price and colleagues (2009) that up to 40% of people without dementia can reach ‘neuropathological criteria’ for Alzheimer’s disease. And there are in fact perfectly sensible explanations why the amyloid plaques which build up are not the cause of the problems in themselves. These are summarised well in Morris, Clark and Vissel (2014). It might be that it is type of amyloid plaque which is important to decline; some plaques are non-toxic; amyloid plaques are not actually the cause of Alzheimer’s disease (but soluble beta amyloid might be); and so on. The amyloid treatments, or else “anti-Aβ treatments’, may have in fact interesting reasons why the “drugs don’t work”. Back to Morris, Clark and Vissel (2014). “So far, anti-Aβ treatments have broadly failed to meet their primary clinical endpoints and some major phase 3 trials were halted early. None of the tested treatments have produced a discernible functional recovery, or altered the course of disease. In fact alarmingly some, specifically inhibitors of γ-secretase, lead to an increased decline in cognition. One idea which had become in vogue was that it was the artist known as ‘fibrillar β-amyloid (Aβ)’ which was the culprit in Alzheimer’s disease. Look at what Stonnington and colleagues reviewed in 2014. So we have a bit of a problem on our hands. International scientists, and ‘interested parties’, convening in Washington, for the Alzheimer’s Association International Conference 2015, even if battled were on the whole extremely optimistic. I am not going to call it a trade fair. It is meant to be, a rather, serious discussion of the results, as well as methodological concerns, of rather expensive experiments in the “rolls-royce” end of dementia. It’s well known that the relationship between the media and reporting of dementia has been in the past a tricky one. Take, for example, this response from the Association of Medical Research Charities, Cancer Research UK and the Wellcome Trust to the ‘Leveson inquiry: Culture, practice and ethics of the press’, dated January 2012. “Hype and false hope: The flipside of the health scare is the overcooked breakthrough. Many newspapers (though not all of them) are apt to exaggerate interesting but preliminary advances in biomedical science, proclaiming them as groundbreaking achievements that will transform individuals’ health when in fact they are reporting nothing more than promising results from experiments on mice, or cells grown in culture. Such reporting can have several negative consequences. First, it raises expectations for advances in medical science, many of which will fall by the wayside over the long journey from laboratory bench to patient bedside. This can feed a public perception that science is always promising and never delivering. So we were faced with a difficult situation earlier this week with solanezumab (Lilly). Key paragraphs from the press release this week are given thus. “Showing that an investigational treatment has slowed the progression of a degenerative brain disease like Alzheimer’s is extremely challenging. Researchers have proposed overcoming this problem with a type of study called a “delayed-start” trial. In delayed-start studies, patients are randomly assigned to start active treatment at the beginning of the study or are placed in a “delayed-start” group that receives a placebo treatment for a period of time before being given the active experimental therapy. Researchers then compare the two groups at a later, pre-defined point in time to assess their response to the treatment. If the treatment can actually slow disease progression, both groups will benefit, but the group that started active treatment later in the study will have progressed further in the disease before they got the drug – while they were on placebo. As a result, the late starters will not be able to “catch up” to the group whose disease progression was slowed for the full duration of the study. The answer is actually blindingly obvious – this should be the correct length of time for the drug to have some effect, and our understanding of this is totally dependent on our knowledge of how this drug is metabolised. Let’s assume that this figure is correct. But even this is not clear-cut. Do you remember the fibrillar amyloid which might have an effect? Well, read for a moment a description of solanezumab thus. So it doesn’t recognise fibrillar Aβ, but it can reverse memory deficits? The inclusion criteria for the actual trial though is interesting (Doody et al., 2014), and this presumably are the inclusion criteria for the follow up presented at #AAIC2015 this week. How many clinical raters? If there were more than 1, did they show good agreement? How accurate is a combined score of the MMSE and NINCDS-ADRDA criteria in producing a definitive diagnosis of Alzheimer’s disease? There will be some – and we don’t know how many – who will not have a diagnosis of Alzheimer’s at all in the Alzheimer’s disease randomised patients group. As it happens, if the Strictly judges make or break Strictly contestants, it is a concern that investors were not that impressed with the AAIC2015 outcomes. An underwhelming performance of solanezumab was described here this week. Apparently, Lilly shares fell 3.3 percent in early trading. All of this smacks somewhat of puffery. And I have a lot of sympathy with this view. But in law, puffery is a promotional statement which presents subjective rather than objective views. The defense of the media, even reputable broadcasters, that in the relative absence of ‘good news’ about dementia, ignoring completely the vast field of living better with dementia that I and many work in, there is a need to grasp onto any titbits of good news. But hyperbole is ‘exempt’ from the normal standards of relying on a statement to make a decision. This is established in English law in a seminal case (albeit only from the Court of Appeal), but the same principles currently apply in other jurisdictions, in the late 19th Century (Carlill v Carbolic Smoke Ball Company 1892). A “puff piece” is an idiom for “a journalistic form of puffery: an article or story of exaggerating praise that often ignores or downplays opposing viewpoints or evidence to the contrary“. But there are 47 million people in the world who are relying on news of developments in Alzheimer’s disease and the 100 or so other types of dementia. Some of the Alzheimer’s disease research community have now successfully dug themselves into a hole. I would strongly urge them to stop digging. Doody RS, Thomas RG, Farlow M, Iwatsubo T, Vellas B, Joffe S, Kieburtz K, Raman R, Sun X, Aisen PS, Siemers E, Liu-Seifert H, Mohs R; Alzheimer’s Disease Cooperative Study Steering Committee; Solanezumab Study Group.Phase 3 trials of solanezumab for mild-to-moderate Alzheimer’s disease. N Engl J Med. 2014 Jan 23;370(4):311-21. Morris GP, Clark IA, Vissel B. Inconsistencies and controversies surrounding the amyloid hypothesis of Alzheimer’s disease. Acta Neuropathol Commun. 2014 Sep 18;2:135. doi: 10.1186/s40478-014-0135-5. Price JL, McKeel DW Jr, Buckles VD, Roe CM, Xiong C, Grundman M, Hansen LA, Petersen RC, Parisi JE, Dickson DW, Smith CD, Davis DG, Schmitt FA, Markesbery WR, Kaye J, Kurlan R, Hulette C, Kurland BF, Higdon R, Kukull W, Morris JC (2009) Neuropathology of nondemented aging: Presumptive evidence for preclinical Alzheimer disease. Neurobiol Aging 30:1026–1036. Stonnington CM, Chen K, Lee W, Locke DE, Dueck AC, Liu X, Roontiva A, Fleisher AS, Caselli RJ, Reiman EM. Fibrillar amyloid correlates of preclinical cognitive decline. Alzheimers Dement. 2014 Jan;10(1):e1-8. doi: 10.1016/j.jalz.2013.01.009. Epub 2013 Apr 11. Vellas B, Carrillo MC, Sampaio C, Brashear HR, Siemers E, Hampel H, Schneider LS, Weiner M, Doody R, Khachaturian Z, Cedarbaum J, Grundman M, Broich K, Giacobini E, Dubois B, Sperling R, Wilcock GK, Fox N, Scheltens P, Touchon J, Hendrix S, Andrieu S, Aisen P; EU/US/CTAD Task Force Members. Designing drug trials for Alzheimer’s disease: what we have learned from the release of the phase III antibody trials: a report from the EU/US/CTAD Task Force. Alzheimers Dement. 2013 Jul;9(4):438-44. doi: 10.1016/j.jalz.2013.03.007. Puffery discussion acknowledgement to Peter Watt.